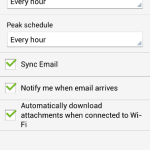 This guide shows you how to add an account for reading and sending e-mails in an Android. Do you already know how to do this? Click on the box below for the account settings. Click Menu > Account > Menu > Add account. 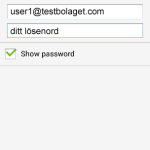 Fill in your e-mail address och password to your account. 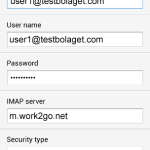 Fill in e-mail address and password. 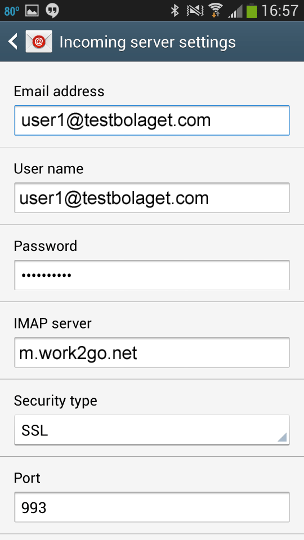 Enter account settings for outgoing server. 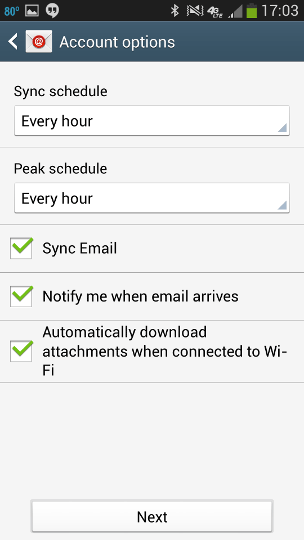 Select appropriate settings for your e-mails. 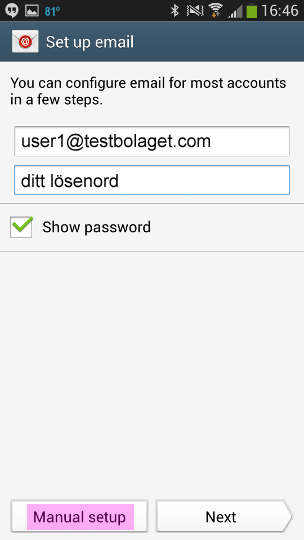 Click Next to give the account a name and how you want your name to appear when you send e-mails from your mobile.